This may be the month of ghouls and goblins, but it is also the prime time for taking the spook out your home’s October honey do list. Don’t let your October to do list scare you off! This may be the month of ghouls and goblins, but it is also the prime time for taking the spook out of around-the-house projects. Here is your list of home to do’s for the month of October. 1. Clear out gutters – While fall foliage can be magnificent, falling leaves can mean more than just an afternoon of raking. Leaves and other debris can lead to clogged gutters that can cause back-ups and leaks. To avoid larger water problems for your home in the winter months ahead, Today’s Homeowner recommends following these 5 steps to cleaning gutters and downspouts. 2. Add a little Boo-tiful Home Decor -There’s only one time of year that cobwebs and tombstones are appropriate additions to your home. Get creative with your Halloween decorations this year and try these spook-tacular budget friendly outdoor Halloween decor ideas. 3. Deep clean – If you’re considering hosting an open house this month, The Maids provide expert tips for really cleaning your home before opening your doors to potential buyers. After all, fall selling season may be a better time to put your home on the market than you think. This Greenwich, CT property is listed by Katherine Donnelly with Coldwell Banker Residential Brokerage. 4. Freshen the Front Porch – This month, your front porch likely sees more action than any other month, greeting trick-or-treaters by the hoards. Consider giving this part of your home a refresh with these 5 ideas to make your front porch shine. 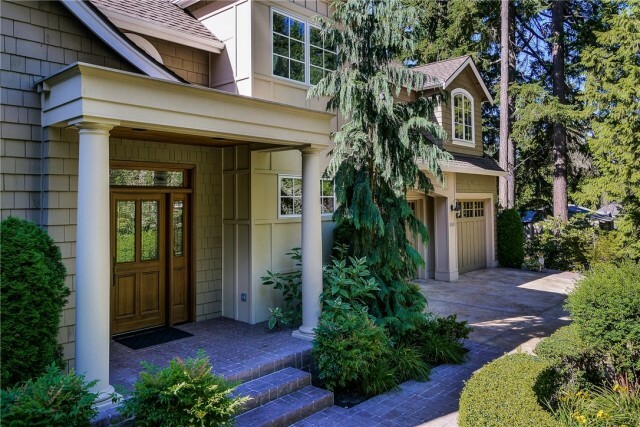 This Bellevue, WA property is listed by Frank Pietromonaco with Coldwell Banker BAIN. 6. Change out closets – It’s officially the season for boots, scarves and sweaters (oh my!) Take this opportunity to clean out summer clothing that didn’t get any use this year. Tuck away the bathing suits and shorts in a tupperware and use vacuum bags to store beach towels, making room for heavier blankets and duvets in the linen closet. This Denver, CO property is listed by Jonathan Zimmerman with Coldwell Banker Residential Brokerage. 7. Winterize windows & doors – In anticipation of cooler days ahead, swap out screens in your windows & doors and install the storm glass inserts. Take out and store any window A/C units and ensure that any weather stripping is in place to prevent drafts.